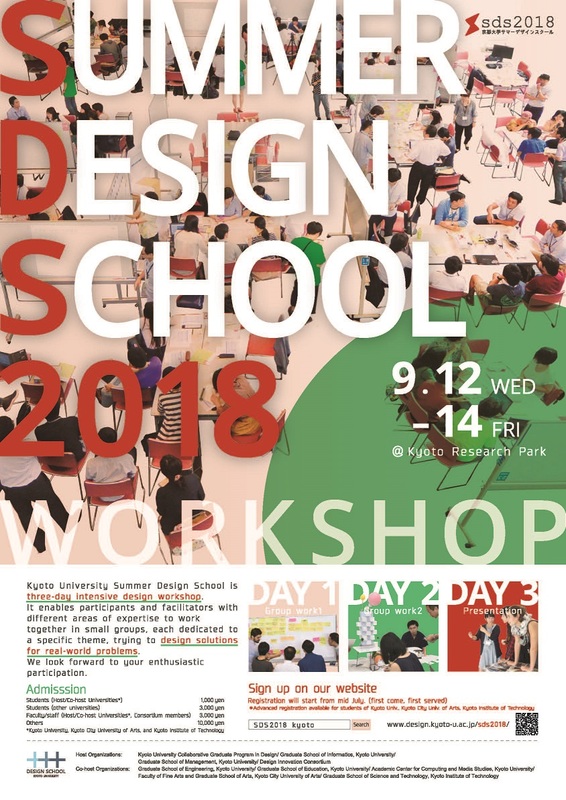 Our annual event Kyoto University Summer Design School will be held in September. 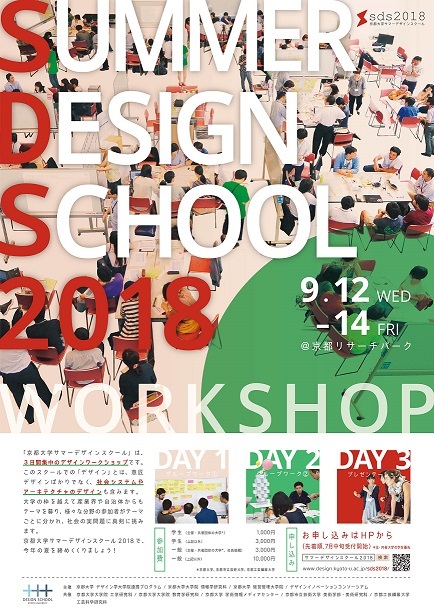 Kyoto University Summer Design School is three-day intensive design workshop. It enables participants and facilitators with different areas of expertise to work together in small groups, each dedicated to a specific theme, trying to design solutions for real-world problems. We look forward to your enthusiastic participation.